I just homed. I'm sit and writing something useless in my blog. I'm searching of the recipe of cupcakes too. I have plan will cook something in Debi's home with Mirza too. Debi said she want to cook dorayaki. But I think that's better cook cupcakes. Debi want to cook dorayaki cause that's the most easy food too cook. That's why I looking for the recipe of cupcakes. 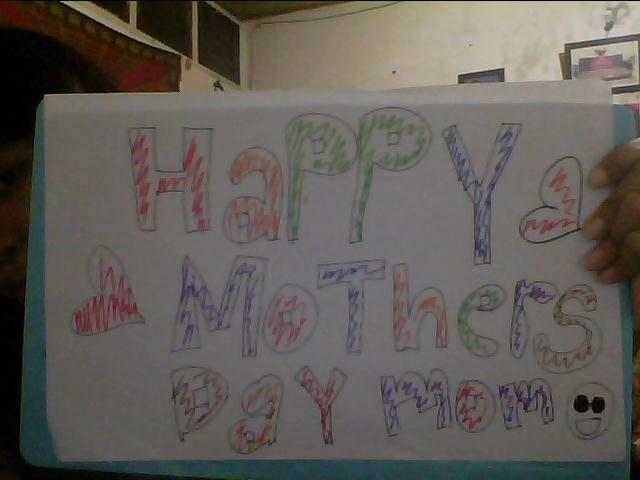 Tomorrow is mothers day. So, at first I want to congrats them. 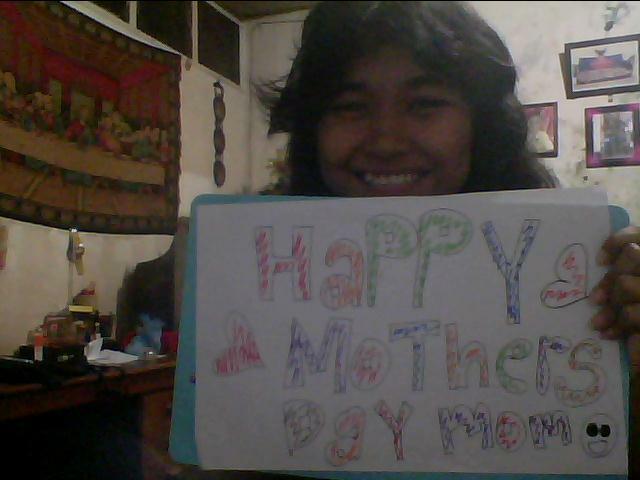 Happy Mothers Day all of mom in this world! Thanks for made me there in this world. Thanks for your love. Thanks for everything. 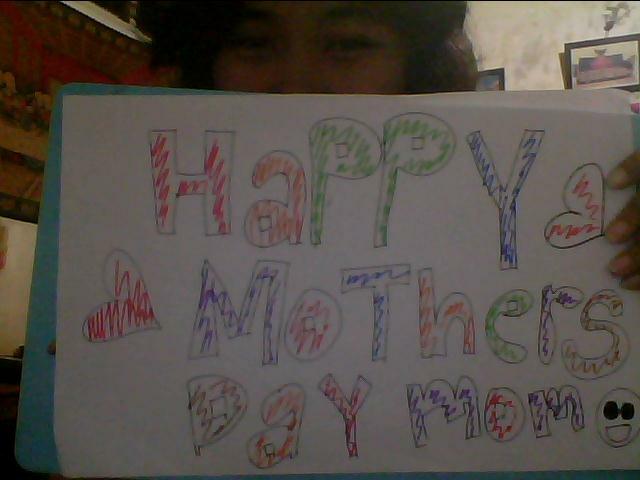 Finally, I found my gift for my mom tomorrow. I bought her a bowl. Maybe the bowl just a cheap one, but it's a unique bowl. I don't need much time to go around the supermarket. Maybe Jesus showed me xoxo. When I homed, there's no mom, dad and my little brother. They go to church and celebrate christmas there. I don't follow them because I have an examination at course. I was in a rush in packed the gift. I afraid if mom will home, and see what I do. Fortunately, I can finished her gift. I hide the gift in my desk. My mom will not know it. I'm sure. My mom still not home when I finished hide her gift. So, I made an useless scratch. And take some photos of them. In the forth photos, my mom, dad and my little brother home. Aaaaaah! I'm panic. I hurried hide all of that scratch and open the door for them. I'm cool. Yeah! I know. I can do that's all not more than 1 minute. I think I have talent to be a spy. Well, so I just have one scratch and just have four photos of them that I take from webcam. But I just tell you 3, cause the one other is sosososososo bad.